REAL HOUSEWIVES OF ATLANTA SHEREE WHITFIELD MARRIED?!!! REAL HOUSEWIVES OF ATLANTA SHEREE WHITFIELD MARRIED?!!! And reports are that this guy is currently in Federal prison! Some sources have come forward to website fameolous.com, to spill this pipin’ hot tea! Since episode 2 of season 9 has aired, info about her boo thang has come forward, with some compelling details. A total of three different women have come forward to say the same story. One of the sources even claims to have witnessed Sheree visiting the guy, while she was visiting her own man. RHOA viewers may even recognize who Sheree’s alleged husband is, too! Yesterday we received some hot tea on RHOA’s own Sheree Whitfield. It appears the RHOA star is dating and possibly engaged to an inmate by name of Tyrone Gilliams. Now if the name sounds familiar to you it may be because he appeared on RHOA back in the day when Nene and Sheree got into it over him for janky business. I don’t remember this character. Perhaps it’s because there are so many side people that float in and out of Real Housewives Of Atlanta. Here’s a picture of Tyrone Gilliams, to help refresh your own memories. He is a Philadelphia commodities trader and hip-hop promoter. He was sentenced to10 years in a federal prison. Prosecutors charged Gilliams with misappropriating $5 million from two group of investors in connection with the Treasury Strips scheme and $450,000 from an investment in a Utah coal mine. 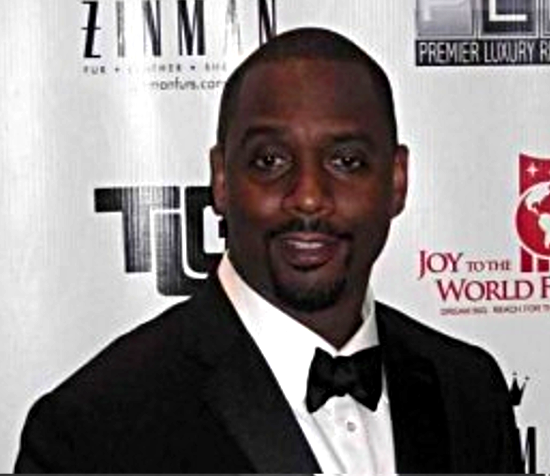 Gilliams, who says he is an ordained minister, also used some of the money to stage a splashy event at the Philadelphia Ritz-Carlton that was supposed to raise money for charity and was meant to bolster his image as philanthropist. The event included a number of celebrities, including music producer and fashion designer Sean “Diddy” Combs. I wonder if his rich lifestyle is one of the reasons Sheree was attracted to him? I bet that Sheree was not trying to date anybody that looks broke! Here’s the initial correspondence from the first source to come forward. She and the other sources have all chosen to remain anonymous. Watch my Chay Eday video PopCast to get the rest of this bizarre but juicy story! Since Phaedra’s husband Apollo is locked up for fraud, and Teresa’s husband Joe Guidice is locked up for fraud, it seems to me that Sheree’s alleged husband would fit right in! Now so far, Sheree Whitfield has not addressed the gossip, so we’ll have to wait and see. In the mean time, we can watch her hang out with her RHOA costars, and do cartwheels in her chateau!